The restaurant was started in an authentic Victorian working Boathouse, alongside the punt station (established in 1904) on the banks of the river Cherwell by Anthony Verdin, a local entrepreneur and connoisseur of fine wine and food. It is still family owned and run today by John Verdin, Anthony’s eldest son, and his team of hard working, friendly waiting staff who enjoy delivering a professional and special service. The restaurant managers Brice Guibert also sommelier and Julien Minier are always ready to give you their expert advice on the best wine pairings to go with your food. They can also help choose the best wine to suit your private party or event at the Boathouse. 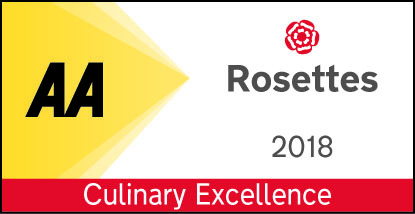 We are very pleased to have been awarded our first ever AA Rosette for culinary excellence!